There’s no question it’s been a tough couple of years for the Edmonton Oilers, but there is a lot to be optimistic about as we inch towards the 2011-12 NHL season. Another last place finish, while slightly embarrassing, gave the team another first overall pick at the draft, the Oil have been very active in the free agent market so far, and then there was that trade they made somewhere in between. Oilers general manager Steve Tambellini introduced, or rather, re-introduced Ryan Smyth to the media on Tuesday afternoon, about two weeks after the start of a whirlwind series of events that led to his escape from LA. It was back then that Smyth was rumored to have asked Kings GM Dean Lombardi for a trade to Edmonton, which was followed by denials, anonymous confirmations, silence…and then a trade that was announced at the Draft, but wouldn’t be made final until a couple of days later. In fact, Smyth could hardly contain himself when talking about finally being back where he feels most at home, saying he is “overwhelmed with joy,” and that becoming an Oiler again is something he has wanted for a long time. “I think once the season gets going and you see the energy in the building and the energy around the city of hockey fever, you know, it's going to be a tremendous year." As far as his new GM is concerned, the move couldn’t have come at a better time for the club. Steve Tambellini says Smyth is a good player who will fill valuable minutes during the season, but he will also be a key figure in guiding what will once again be a very young group of players. “Part of the team development is setting an example of what it's like to be not a good pro, but a great pro,” Tambellini says. “The example of how you act off the ice, how you take care of yourself as far as working out, how you prepare for a game, how you handle pressure. There are so many things that go into being a great pro, and I can't think of a better example right now." Smyth left the Oilers on bad terms in 2007 after contract talks failed between the two sides, but he says that’s all “water under the bridge” now. He spent the rest of that season on Long Island (and was still Edmonton’s leading scorer by season’s end), before two-year stops in Colorado and LA. Last year he had 23 goals and 47 points with the Kings, while playing about 18 minutes per game and acting as a mentor to some of the team’s younger players, a role he says he welcomed. When asked about the other moves the team has made this off-season, Smyth praised the additions of tough guys Ben Eager and Darcy Hordichuk, faceoff specialist Eric Belanger and skilled defenceman Cam Barker. He also said he knows that Ryan Nugent-Hopkins is coming into this season with a lot of pressure on his shoulders, but he thinks the 18-year-old is well equipped to take it on. So, could the Oilers end up fighting for a playoff spot this year? If you want my opinion, acquiring Ryan Smyth was the first big step the team took towards that – what he is able to contribute off the ice could end up being far more valuable than the 20 goals he scores on it this season. Steve Tambellini has also done a lot to strengthen other parts of the roster so far this month, and I think as long as they are able to stay relatively healthy, this will be a team the fans can be proud of. 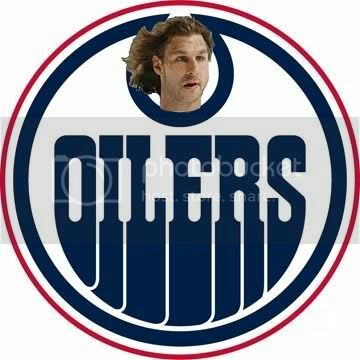 What do you think: How important will Ryan Smyth be for the Edmonton Oilers this season?